Nearly 250 guests filled the Country Club of Missouri for the 27th Annual Awards Banquet and Alumni Reunion April 21, 2017. Alumni from all over the country joined Sinclair School of Nursing faculty, staff, students and their family gathered to celebrate the best of the Sinclair School of Nursing. Students were recognized for excellence in the classroom and clinical settings. Faculty were recognized for excellence in teaching and research. 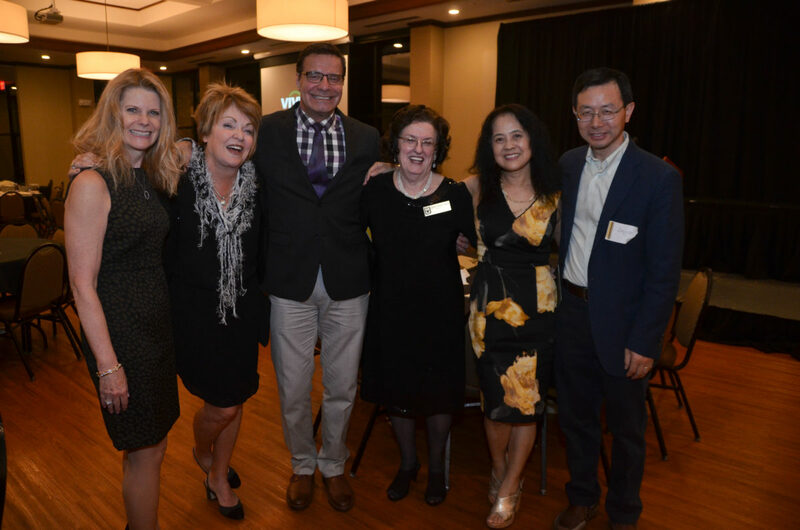 The Nursing Alumni Organization recognized five honorable alumni who have spent their careers in the top of the nursing profession. Award winners are listed below. Prior to the banquet, members of the Sinclair School of Nursing’s Nightingale Gift Society were celebrated at the annual induction and reception. New members were inducted into the prestigious society, and others were elevated to new levels of recognition. The society honors major donors for their gifts made to the school. Following the banquet, Sunday, April 22, members of the class of 1967, ’77, ’87 and 2007 gathered for a reunion. They toured the University of Missouri Hospital and the Sinclair School of Nursing and gathered for lunch to reminisce about their time in nursing school. Thanks to all who attended and helped put the event together. We are looking forward to next year. Be sure to check out facebook for pictures of all the events!